Howdy Homebrewer and welcome to another fun filled episode of our podcast! We’ve got another Q&A episode lined up for you that we had a blast recording. 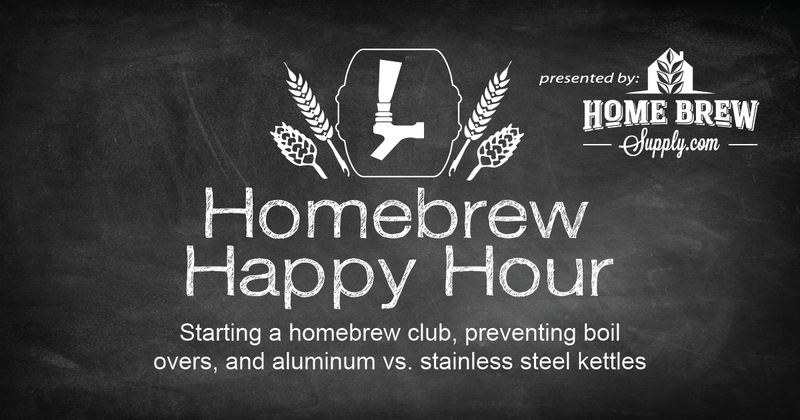 We take your questions today on starting a homebrew club, tips and tricks for preventing boil overs, and a discussion on aluminum vs stainless steel kettles.